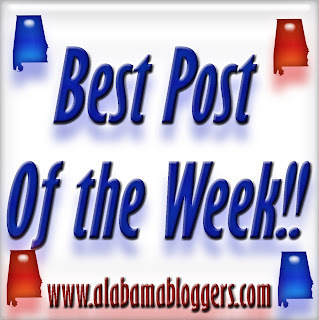 Alabama Bloggers: Best Post of the Week: Week 200! Sometimes I like to share the completely unrelated tidbits of my mind. Today was one of those days. My interview with Sara Rosso. Sara Rosso runs Ms. Adventures in Italy, a blog I've been reading for quite some time. I admire Ms. Rosso immensely and want to be just like her when I grow up so I was absolutely beside myself when she agreed to do the interview with me for my blog. Congratulations on 200 weeks of Alabama Bloggers! 8. Project Bulk - A report on my 8th month bulking up. 9. Y'all Connect - Starting tips for corporate storytelling. 10. Birmingham Blogging Academy - Getting love from the media takes consistency and helpfulness.